With the in-form Jack Hume firing a 69 to share the individual lead on three-under par, Gary Hurley cruising to a 70 and Gavin Moynihan weighing in with a 72, they lead on five under par 211 from France at water-strewn Nordelta Golf Club in Tigre, 40 minutes north of downtown Buenos Aires. Whitehead's John-Ross Galbraith battled hard but had to settle for a 79 and a share of 26th in the individual standings. The Irish Close champion played well over the opening holes but missed his birdie chances and then paid dearly for some wayward shots on a modern, Jack Nicklaus design where water comes into play on no fewer than 11 holes. 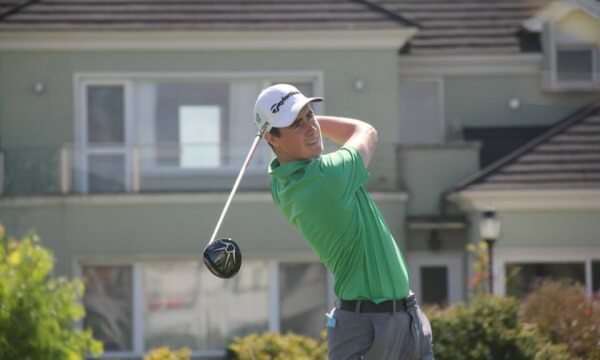 Ireland's leading player in the Argentinian Amateur last week, Naas' ace Hume continued his run of excellent form as he made five birdies in a three under 69 and rode his luck near the finish to share the individual lead with Ugo Coussaud of France, one clear of Hurley, Portugal's Vitor Lopes and Australia's Jarryd Felton. Having chipped in for a birdie at the second, Hume three-putted the third for bogey but birdied the par-five fourth and the ninth, where he skied his drive but hit a stunning rescue to the green and holed the putt. Out in two under 34 as cool early morning condtions gave way to 23 degree temperatures and a two-club wind, he birdied the par-five 10th and 13th holes before a rare wayward tee shot found sand at the 15th and he bogeyed to slip back to three under. He had his good fortune too, barely carrying the lake to find the peninsula green at the par-three 16th, escaping with a par before closing out with a couple of solid fours. West Waterford and Maynooth University star Hurley posted a 70 that could easily have been several shots better, so well is the Munster man playing right now. He birdied the third but drove into the hazard at the testing, par-five eighth and followed a bogey there with another at the ninth, where he overshot the green, found sand and missed a six footer for par. Out in 37, he birdied the 10th and 13th to ease himself back to one under par and after missing birdie chances from six feet at the 15th and a 10 feet at the 16th, he holed a 25 footer for birdie at the last. Moynihan was unperturbed by his missed cut last week and while he produced few fireworks, the Scottish Amateur Open champion still shot a solid, level par 72 to share eighth place in the individual. Having missed a few putts early on, he was one over after two and drove into bunker and failed to birdie the long eighth, turning in one over. A birdie four at the 10th got him back to level and while he drove behind a tree and bogeyed the 14th, he made a superb birdie at the par-three 16th, hitting a stunning five or six iron to 15 feet into a testing cross wind. With Australia eight shots off the pace in third place on three over par, Ireland will be looking for a similar day on Friday to push home their advantage over a strong French quartet. Galbraith has been bothered by a blistered finger but he will be determined to put that out of his mind in round two on what is a testing track. He made an early bogey at the short fifth, where he bunkered his tee shot, and after another at the tough sixth, where his playing partner Jason Smith of South Africa had a quintuple bogey nine in a 77. In fact, the South Africans suffered badly at that hole with two other players in their team also making double bogeys. Galbraith's round got away from him at the eighth and ninth, where he made back to back double bogeys. But he steadied the ship well in a one over back nine, despite followed a birdie at the 13th and with a double off a poor tee shot at the 15th. Speedy greens made for a tough test but Ireland are well placed to challenge for victory with France (Coussaud 69, Romain Langasque 71, Edgar Catherine 73 and Jeremy Gandon 73) the clear danger side 213. Australia (219) and Canada (222) are third and fourth respectively and hosts Argentina well back, seventh of the eight participating nations on 227.